Hi everyone! It's a bit of a dull grey day so I need a pop of colour on my nails! This is Avon Color Trend 'Bubblegum' a fabulously hot bright pink. 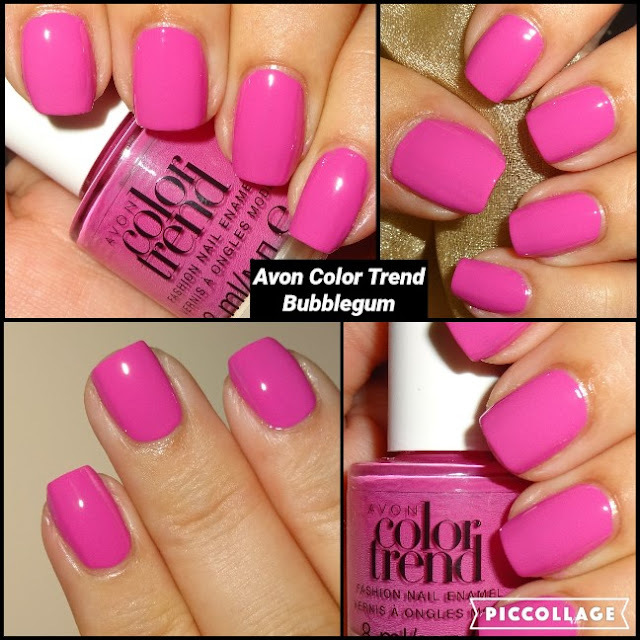 The Color Trend collection is Avon's budget friend range, super nail enamel without the expensive price ticket! 8ml bottle.